From Wikipedia: Apple TV is a digital media receiver developed and sold by Apple Inc. It is a small form factor network appliance designed to play digital content from the iTunes Store, Netflix, Hulu Plus, YouTube, Flickr, iCloud, MLB.tv, NBA League Pass, NHL GameCenter or any Mac OS X or Windows computer running iTunes on an enhanced-definition or high-definition widescreen television. From Apple: Apple TV is a tiny entertainment powerhouse that plays the content you love from iTunes, Netflix, YouTube, and your favorite sports leagues on your widescreen TV. It supports 1080p HD movie playback. Keep iTunes DRM M4V Rentals on Apple TV? Movies, TV shows you rented from iTunes Store are limited to play in 24 hours once you started to watch it. It means you can't keep the iTunes M4V rentals on your Apple TV for watching after they are expired. But don't worry. Actually you can enable your Apple TV to play the expired rentals with the help of some DRM removal tools, one of which is NoteBurner DRM M4V to Apple TV Converter. It will help you to remove the DRM protection from iTunes movie rentals and convert the M4V to Apple TV/Apple TV2 format. 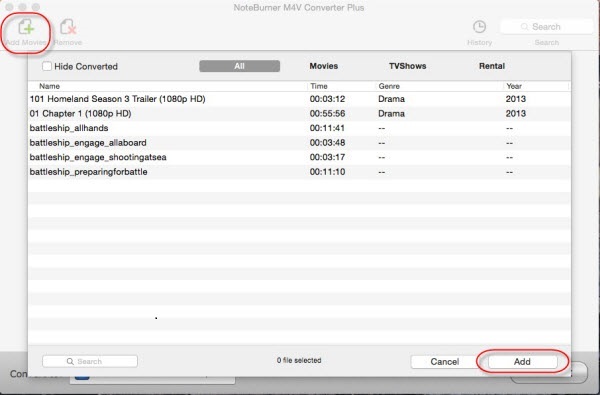 This method is relatively legal, NoteBurner DRM M4V Converter just takes a record method with high-quality to convert your iTunes M4V Rentals to Apple TV for transferring. 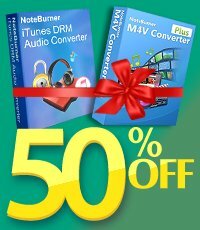 Make sure that you installed the latest version of NoteBurner DRM M4V Converter. And double click the app to launch it. Click Add which is on the top-left of the interface, and iTunes movies library will be opened by default. You can choose iTunes movie rentals you want to convert and click OK button. 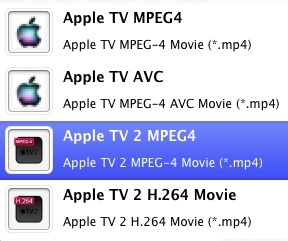 In the Profile drop down list, you can select Apple TV or Apple TV2 MPEG4 as output video format. 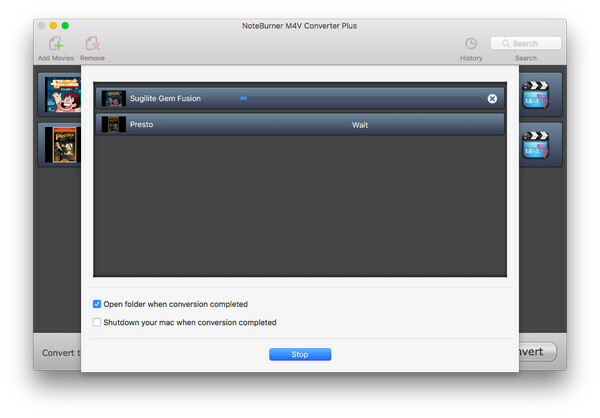 Click Convert button to start to convert your iTunes rented movies to Apple TV/Apple TV 2. Once the conversion is completed successfully, you can simply stream the converted DRM free movies to Apple TV to watch. What's next? 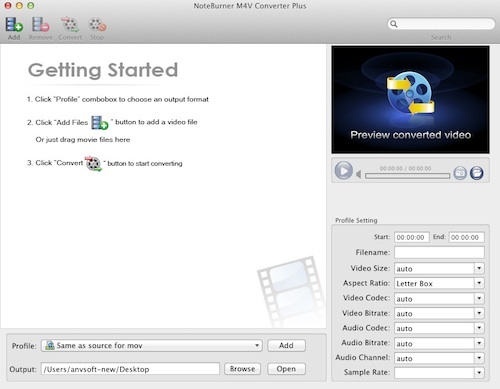 Download NoteBurner iTunes M4V to Apple TV Converter now!